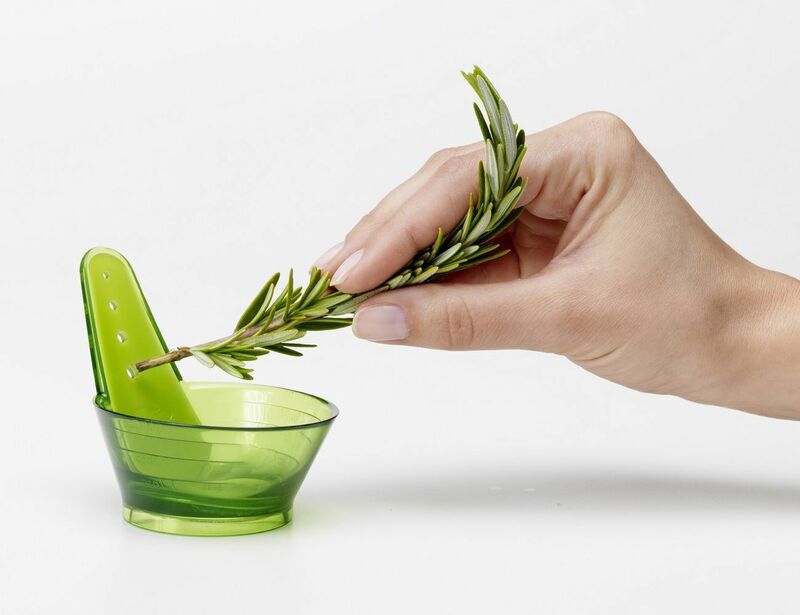 The ZipStrip Herb Stripper from Chef’n is a simple but very handy and innovative kitchen tool for stripping herbs from their stems quickly and easily. It’s a bowl that’s shaped like a spoon, with the handle angled up a bit. The handle has different sized holes through which you’re supposed to insert and pull the herb stems. 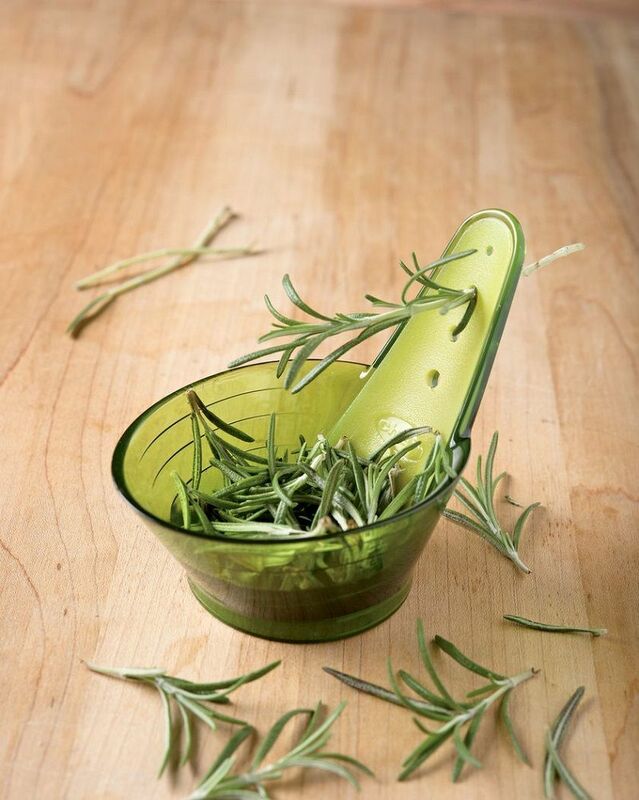 As you the pull the stems through the hole, the herb leaves are ripped off and slide down the handle into the bowl. 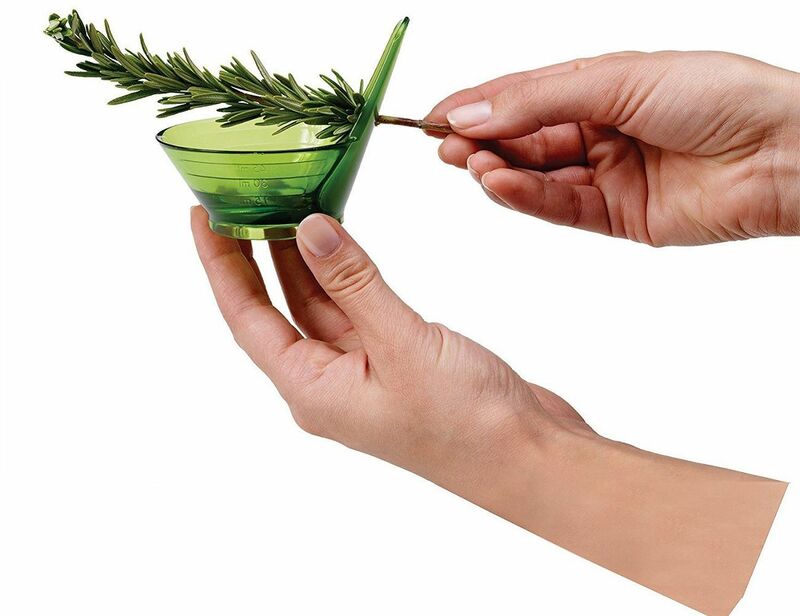 On top of this simple and fast way to pluck herbs, the Herb Stripper also acts as a measuring bowl since you’ll know when the bowl is full and you need to stop plucking the herbs. 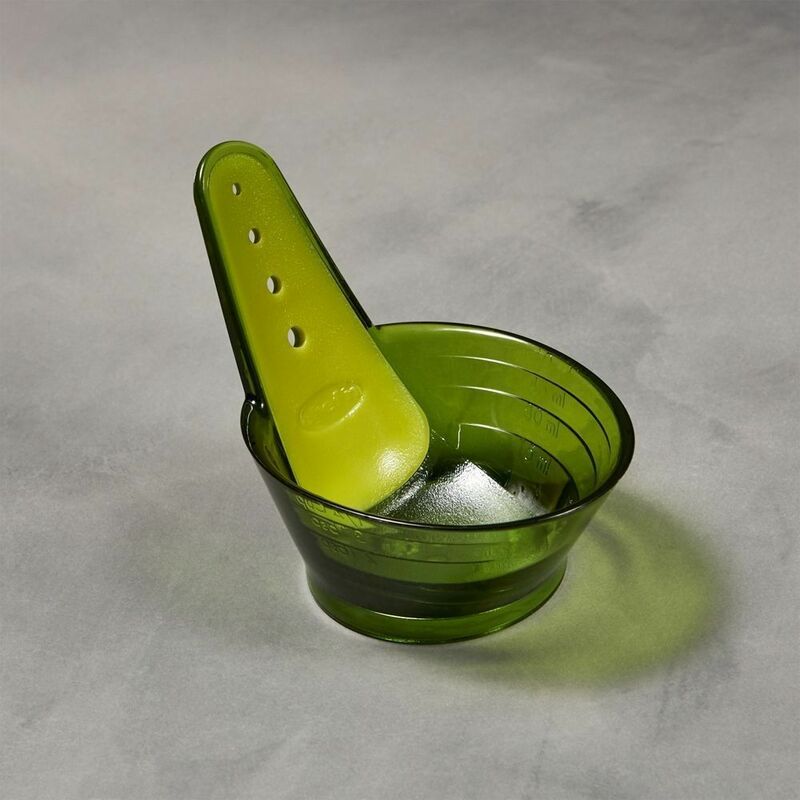 The Herb Stripper is made of plastic, but it comes in a natural leafy shade of green.